Daniel R. Maurer has served since 2012 on the board of directors of Zagg Inc. Mr. Maurer was a member of the senior management team at Intuit Inc. from 2006 until his retirement in 2014. 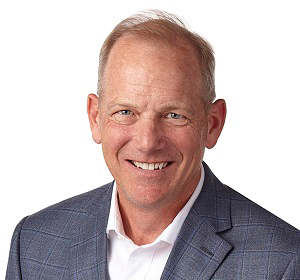 In his most recent role at Intuit, he oversaw the Small Business Solutions Group (including QuickBooks payroll, DemandForce, and QuickBase), and previously led the TurboTax ®, Mint, and Quicken brands. Mr. Maurer has extensive global consumer retail sales and marketing experience with over 20 years of executive management at Proctor & Gamble (“P&G”), including 15 years internationally. As General Manager of Global Customer Development at P&G’s headquarters, he was tasked with building an effective marketing strategy to achieve a competitive advantage with P&G’s largest global customers including Wal-Mart, Costco, Ahold, Tessco, and Carrefour. Subsequent to his tenure at P&G, Mr. Maurer was Vice President of Strategy for Global Sales and US Business at Campbell’s Soup. Mr. Maurer served as a director of Checkpoint Systems, Inc., which provides merchandise availability solutions for the retail industry, encompassing loss prevention and merchandise visibility, from January 2016 until the completion of the sale of the company in May 2016. He also served as a director of Iomega Corporation, a consumer technology company, from 2006 until its acquisition by EMC Corporation in 2008.